Latest update made the game funnier! Till now we were following the best scores, but so far it seems, fans liked the level competition. So If you share your levels with us, we can also post in our website! 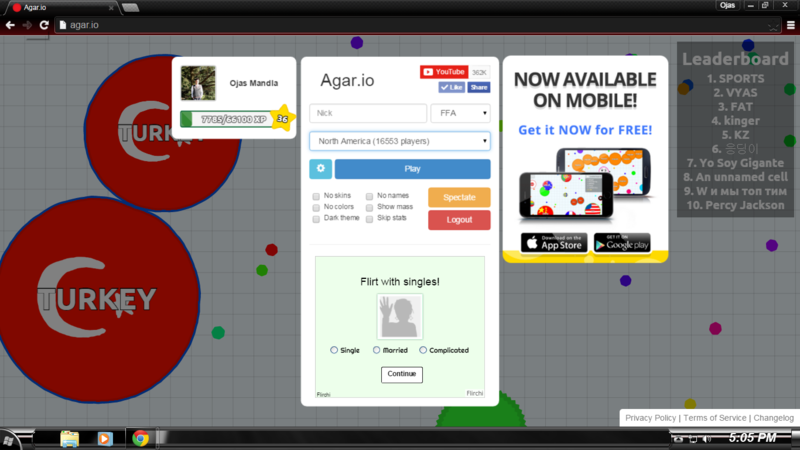 No matter how much your level is, you can submit and take place among the Champions of Agar.io. Note: Comment section of form at the bottom is optional. You can enter your e-mail address there if you dare, so if anything occurs during review process, we can contact and inform you. Promise, that field is confidential and you will receive no spam e-mails. Thanks for the past reply. I only play on the experimental gametype. I don’t know if this is the official site to ask but could we get different level trackers based on the gamemode you play on? Nice job! How much mass do you start with? I forgot to check but im level 27 now XC. I start with 40 now, however i noticed that with each level I start with 1 extra mass. Hello. im level 74 and i posted the evidence on facebook. good luck everyone! Can we see this post? Sorry mate but your inspect element wont work here. Literally impossible for anyone to have over level 50 atm due the release of levels not being long ago. I’m level 39. 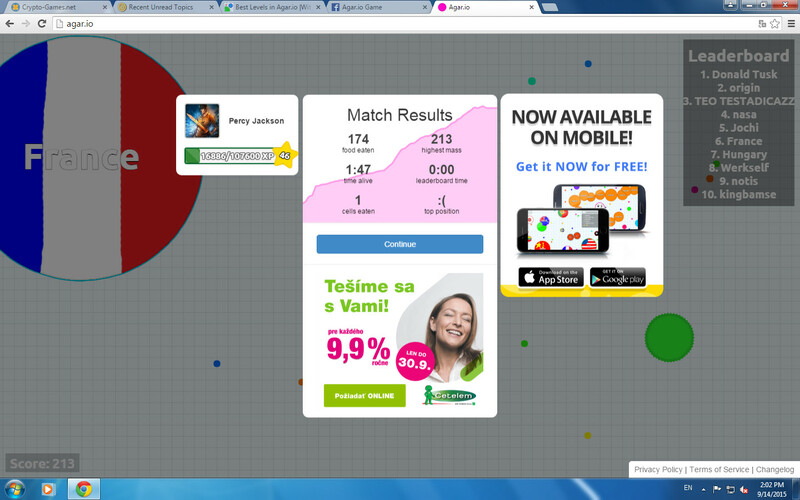 I should be higher pretty soon. I start with 53 mass. To find someone’s starting mass, take their level and add 14. If you want to lvl up more quicker, you have to team up with one person. You earn XP when ever you get mass. So, sharing mass with your partner over and over again while getting bigger is the fastest way to lvl up. When partnering, split to get nearby players and feed your other half to your partner. Your partner can do the same thing and give you his half and just, keep doing it. Also, it’s good if you clear out the virus since they give you 100 mass and it would clear a path for your partner if he’s too big to go through. I went from lvl 17 to 39 by doing this in a single game. Hi! I’m level 30 at the moment. While i was playing i had gotten to top of the leader board… unfortunately preceding my reign everyone left…i was feeling good when all of a sudden my game shut down the server and made me start over on a different one… Starting over im okay with, 8,000 mass or not, however it didn’t count any of my progress towards leveling after the switch. Please fix this! i was 30+ but however i am 12 now. it is happend twice! level 50, starting mass 43. They capped starting mass starting this week. Im level 44 😀 http://prntscr.com/7x22a2! i was post in facebook . but nothing happen. im lv. 42 but im starting with mass: 43 ( help me with this ) how do i get my starting ma up!!!????? im lv. 42 but im starting with 43 mass ( help me with this ) how do i get my starting mass up? i m at level 36 and get 46 starting mass?? MOKY said that he/she is lvl 56 and the starting mass is 44..
i’m lvl 39 and my starting mass is 43.. so? 42, the answer to Life, the Universe, and Everything.